Good news to disgruntled Jollibee patrons: the fast food giant has confirmed last Friday that there is no supply shortage of their chicken, burgers and other top sellers. The real problem? A sales order and delivery network bogged down by a major system upgrade. 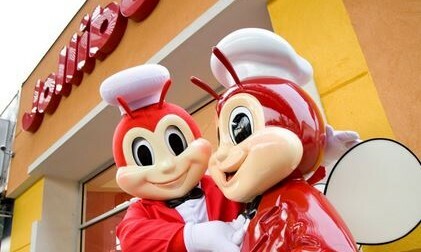 “The Jollibee Group has sufficient raw materials, finished products and production capacity to meet the consumer demand for the entire month of August and for the months ahead, both for local and imported goods, in line with its sales and product supply planning,” Jollibee Foods Corporation (JFC) assured. However, the company said in a disclosure that a current shift to a new IT system lead to a slowdown on supply distribution since the month began. This has now escalated from just limited menus to the temporary closure of 72 stores, or 3.2% of its store network of 2,244 various JFC brands. JFC estimates that they have not been able to serve 6% of its normal nationwide sales in the first seven days of this month. Sales, however, remained afloat with same store sales improving 4% for the period year-on-year. The system overhaul, which includes the central integrating system and store information systems, is the company’s largest IT investment yet, amounting to over P500 million. JFC expressed their apologies, promising its customers that operations will be up to speed withun the remaining weeks of August. “The organization is doing its best to restore the availability of all its products to normal levels in the next few days, to reopen temporarily closed stores and to restore its excellent service to its customers,” it adds. Jollibee patrons vented their disappointment online after finding out that several branches are running out of old time favorites like fried chicken, pancit palabok and burgers. It spurred the hashtag #ChickenSad, a funny takeoff from the brand’s popular ChickenJoy, which KFC Philippines quickly used to its advantage. It has begun inviting agencies to pitch, putting incumbent TBWA on alert. .. There's no better way to know if a pair of running shoes fits you, or if a jacket is comfy, than to actually do a test run through..
Grey Hong Kong has expanded its account management team with the hires of Katherine Wong as business director, and Christina Kwok ..